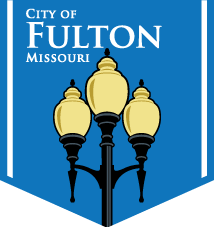 The City of Fulton owns and operates a municipal natural gas system that serves approximately 4,000 customers. In 1936, the City installed the first natural gas meter. The City purchases natural gas from the Kansas and Oklahoma natural gas fields and transports the gas by contract over the Panhandle Eastern Pipe Line (PEPL) to the City’s connection to PEPL, near Hatton, Missouri. It is then transported on an 8-inch steel coated pipeline owned and maintained by the City of Fulton at a pressure of 320 psi (pounds per square inch) to the City’s north town border station. Once the natural gas is transported to the City, six regulator stations reduce the pressure for the distribution system. The pressure is reduced at two of the regulator stations from 320 psi to 60 psi and reduced at the remaining four regulator stations from 60 psi to 25 psi. When the natural gas reaches the customer’s meter, it is once again reduced in pressure. The City serves residential customers at ¼ psi, and commercial and industrial customers from ¼ psi to 2 psi depending on individual loads and some customers ever receive gas at line pressure. The City owns and maintains approximately 89 miles of natural gas mains. In the early 1970’s, the City began installing plastic pipe gas mains on all new construction and continues this practice today as well as replacing existing cast iron and ductile iron gas mains with plastic mains as part of the City’s gas main replacement program. The Gas Department also locates all City utilities for citizens, contractors and all City crews. This is done as part of the State of Missouri One Call System. If anyone is going to excavate, they need to call 1-800-DIG-RITE (344-7483) at least 48 hours before excavation is to begin and the City will locate all City-owned utilities at no charge.